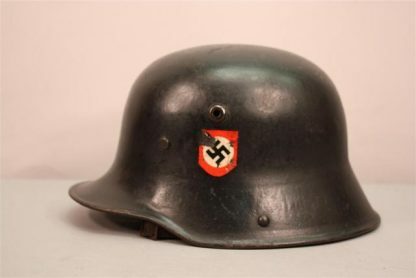 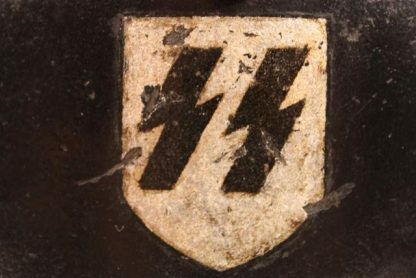 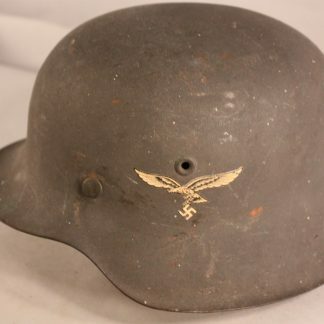 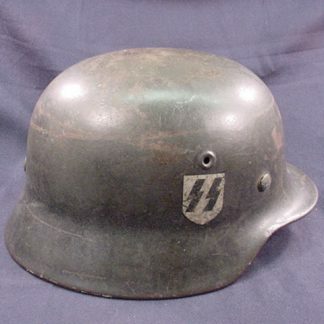 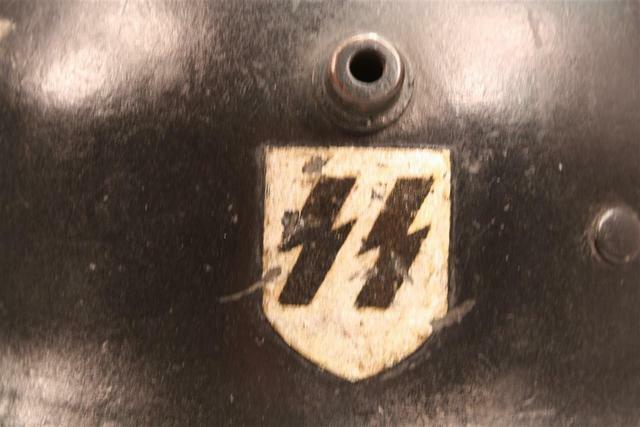 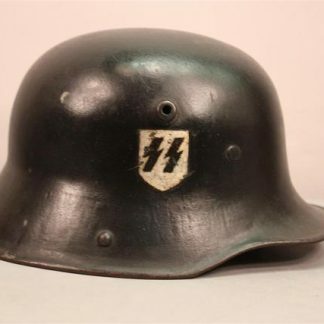 Algemeine SS Helmet – Military Collectibles, Inc.
View cart “Algemeine SS Helmet” has been added to your cart. 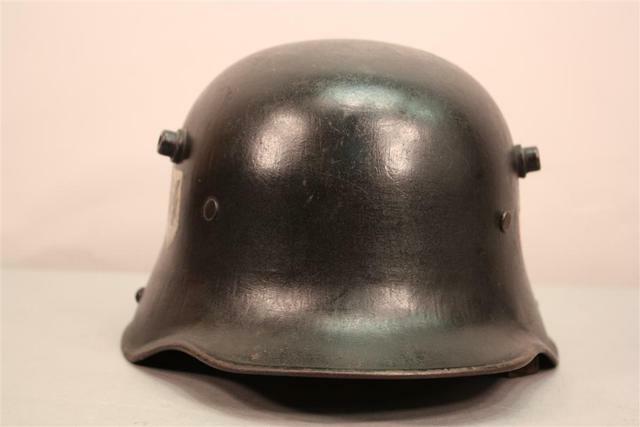 Shell is an ET64 M16 with satin black over a field gray finish. The decal is a pocher pattern on the runes and on the party shield. The liner is a standard M16 liner. 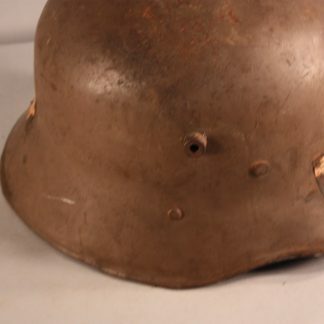 Original vet purchased in 1990 from the Vet’s estate. 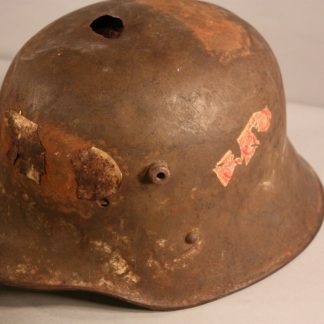 This helmet was purchased from Kelly Hicks and comes with a letter of authenticity from Mr. Hicks. 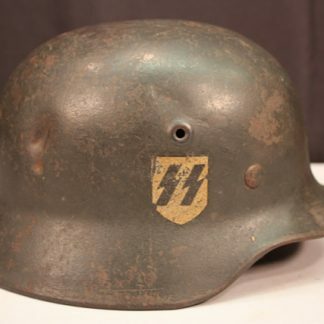 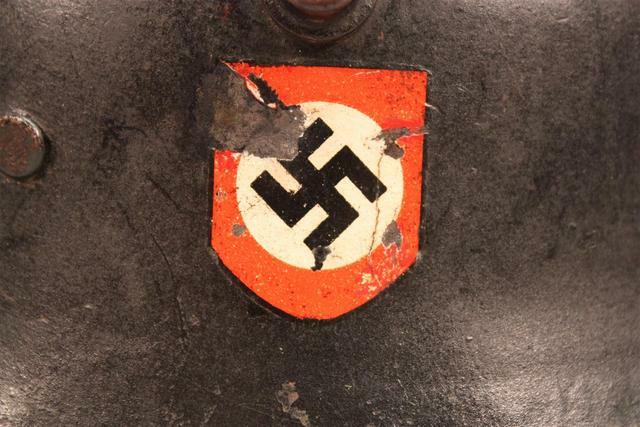 The SS decals are overall in exceptionally nice condition with some chipping in the silver area. 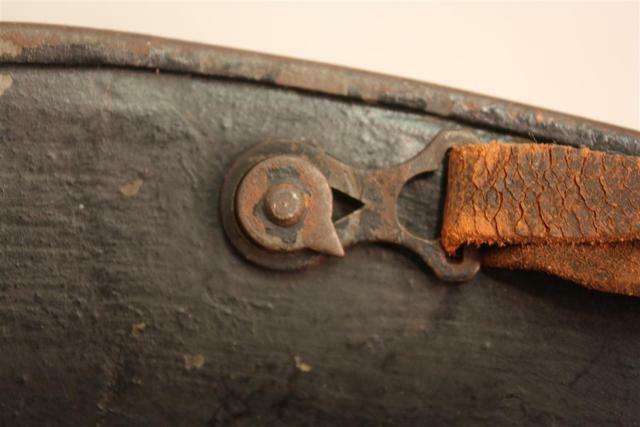 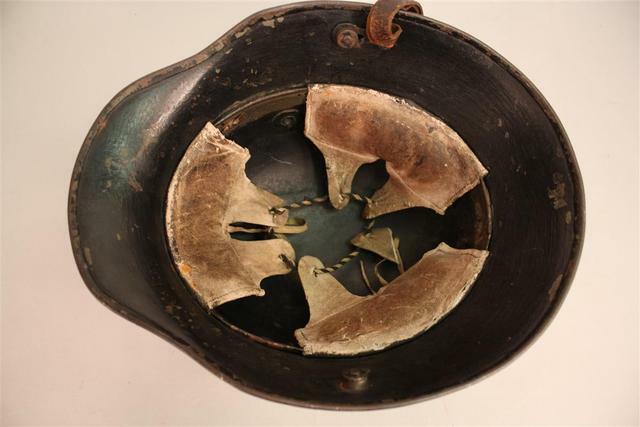 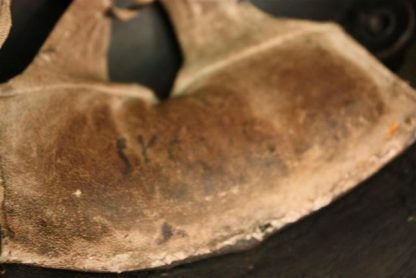 Has the remnants of the chin strap and the interior liner is 100% intact. 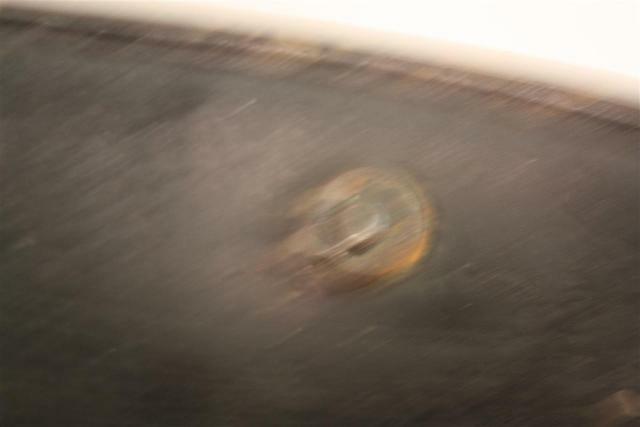 The party shield has taken a severe hit between 11 o’clock and 9 o’clock but the swaz is virtually untouched. 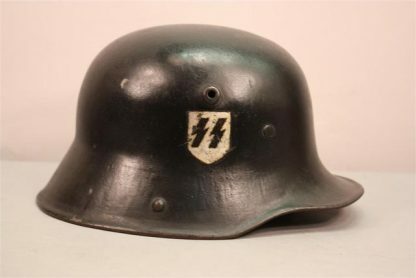 Hard to find guaranteed, certified, original Algemeine helmets.